The Lionsgate Portal opens from July 26 to August 12, however it is at its most powerful on August 8. It is on this day that we can receive the full abundance of the magical and powerful energy that is on offer. It is also interesting to note that this portal is at its peak on August 8 or 88. In numerology, 8 is also a powerful number that represents infinity, power, divine connection, rebirth and higher realms. As humans, we came to explore, to taste, to travel, to live and to experience the emotions and colours of Earth. But many of us get stuck and trapped in the monotony of day to day living and forget what we came here to truly experience. Being human often gets a bad wrap, but humans are incredible, passionate and compassionate beings that have so much to offer the world. We need to embrace our humanness and work out what makes us feel most alive. 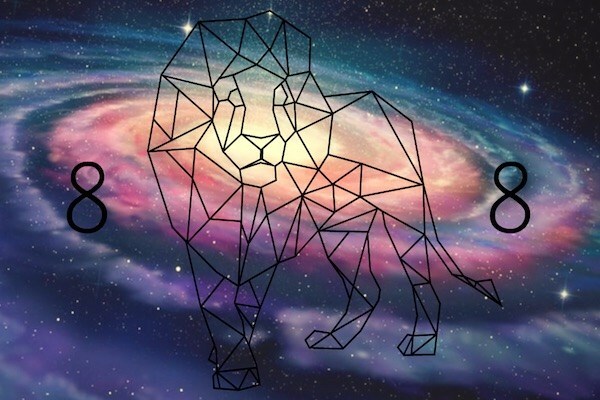 A partial lunar eclipse falls just one day before the Lionsgate portal on August 7th in the sign of Aquarius, and we are all going to be called on to let go, heal and release so we can receive the new.